Finnish HIM grad Johanna is in London undergoing the Achieve Graduate Program at the iconic British hotel, The Dorchester. You sense a fire within her heart, a passion for people and the drive to make things happen. Here’s her story. In high school, after finishing a short internship at a law firm, Johanna’s goal was to apply to study law. Slowly, she started realizing that she wasn’t that excited about it after all. Johanna always loved hosting parties at home so when next summer finally came she was looking for other opportunities and was offered a job at Hotel Cumulus in Helsinki as a breakfast hostess. Summer passed and after working at the hotel Johanna knew that hospitality was her future. She organized to visit Switzerland and viewed Hotel Institute Montreux and instantly she knew she had found her new home. Johanna met with both students and staff that supported her excitement for HIM and on December 23rd, an early Christmas gift arrived in her mailbox, she was accepted to the school. The Dorchester is one of the world’s best hotels. How did you manage to get in? 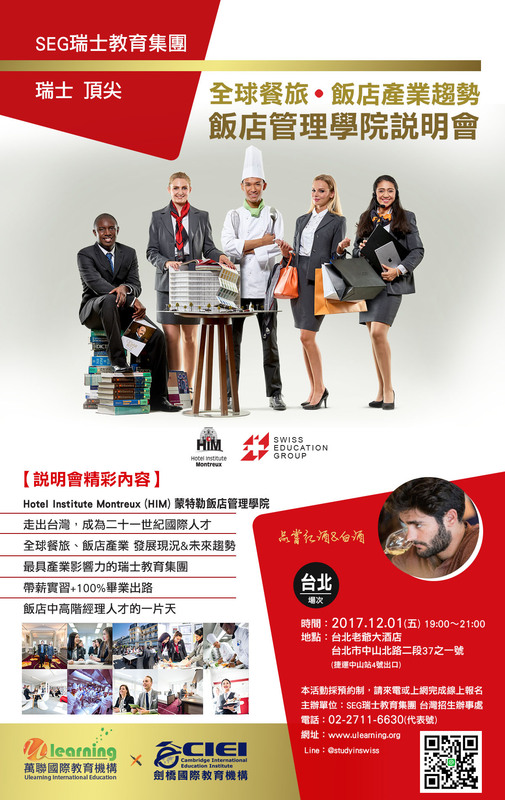 Twice a year the Swiss Education Group organizes the International Recruitment Forum (IRF) where students have the opportunity to meet, network and impress future employers. Last year I underwent a one-to-one interview with The Dorchester. Following this meeting I was selected out of 300 students and invited together with 30 students to their Assessment Day in London. Amongst this group, I was selected to enter their Achieve Graduate Program. We can tell you love what you do. Tell us what makes hospitality so special to you? Well, I love working with people and to be able to provide the best experience possible. It’s hard to explain but I would like to put it as: Giving energy – receiving energy. We all serve, just in different ways! Looking at my industry, it’s about the true willingness to make someone happy! When you satisfy someone, they will hopefully return that energy to someone else. You’ve become a Londoner! How is it working and living in the city? Well, described with one simple word: respect. It’s as easy as that. Looking ahead, lets say ten years from now, I see myself starting my first business. Scandinavia is growing which allows for many new opportunities. Time will tell, but I love keeping up with new trends!